Purchase Wizard of Oz Tickets! Get your tickets to the ALCS performance of The Wizard of Oz! Doors open 45 minutes prior to show time - COME EARLY - Walk-ins Welcome!! Make sure you let your grandparents (or stand-in grandparents) know to save May 3 for Grandparents' Day! More information will come out soon. Important Note: May 3 is opening night for our musical, The Wizard of Oz! Look for opportunities to get your tickets starting the week of Apr 1. This year Grandparents’ Day will be on Friday, May 3rd. This is a special day at ALCS for all of our students, grades K-12, to invite their grandparents to attend school with them. LUNCHROOM HELP: We need at least 6 volunteers to help serve lunch between 10:30 a.m. and 1:30 pm. (or a portion of that time), let us know if you can help (lunch is included). TREATS: If you are able to provide 2-4 dozen treats (finger-type foods), please contact us. Please avoid anything with nuts to prevent any issues with nut allergies. Let us know if you'd like to bring treats. You may drop off treats by the end of the school day on May 2. Please contact us at studentservices@mcs-wi.com, or call 608-221-1520. Register for 18th Challenger Golf Classic! Register to play in the Challenger Golf Classic Today! *If you are emailing the teacher, please be sure to copy the attendance office! ALCS is always looking for Subs! 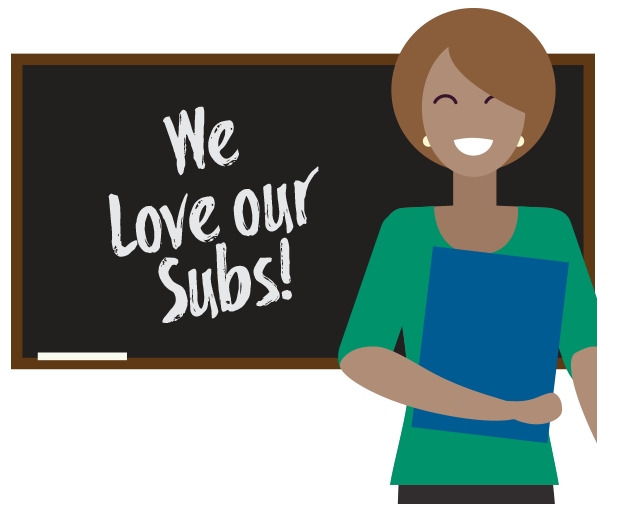 ALCS is looking for substitute teachers for the 2018-19 school year. Qualifications: Have a personal relationship with Jesus Christ, agree with our statement of faith, and have experience with children. This is a great way to impact students and scheduling is flexible! Click HERE to learn more about applying.